The Director-General of National Lottery Association (NLA) Hon. 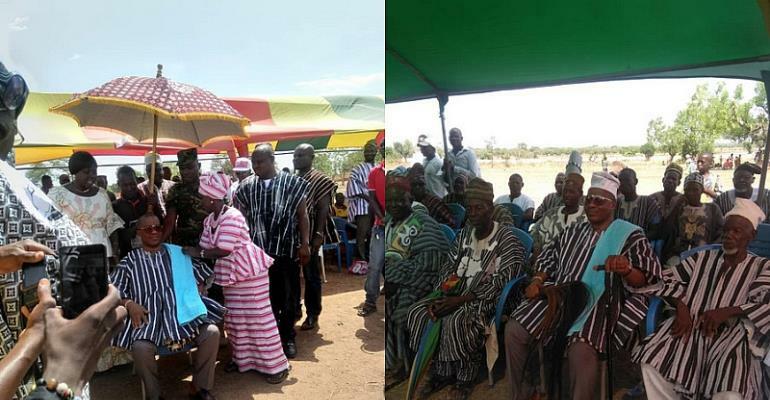 Kofi Osei-Ameyaw has been enskinned as 'Pieri Naa' by the Sankana Traditional Council for his selfless devotion towards development of the Sankana Traditional Area. 'Pieri Naa' means, the King of Rocks. According to the history, customs and traditions of the people of Sankana, Pieri Naa is the highest Development Title given to a distinguished personality who possesses the qualities of permanence, resilience, strength and creativity.